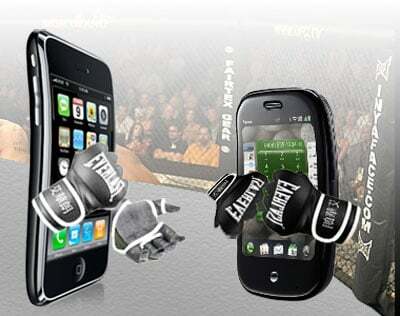 iPhone SDK "Hostile" Compared to Palm Pre's Mojo? he had a lot of good things to say about how Palm is handing the extremely nascent developer community and his hopes for the future of the platform. The developer told us that he has explored mobile development on Apple's iPhone SDK and found much of the company's position towards their community to be "developer-hostile"—an obvious reference to their insistence on enforcing a pointless NDA well past its expiration date and their strong hand in regulating what can and cannot be developed for its platform. Apple, of course, is providing Cocoa Touch, an iPhone-optimized version of their Objective C frameworks that, while highly administrated by Apple, provides desktop-class power with a hefty of amount of access to developers. Palm, by contrast, is using Mojo as an open, web-standards based framework for the webOS, which we're guessing will be something similar to how Widgets work (half way between WebApps and native apps). Every solution comes with compromises, so in the end it will be up to each developer to choose which platform(s) best suit their needs and the apps they want to build, but is the way in which Apple treats developers -- something entirely outside the SDK -- going to be a concern as competing alternatives like Android and webOS become increasingly available?